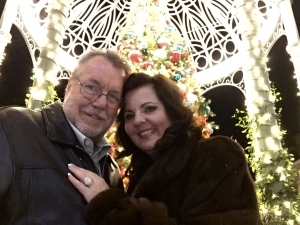 My first engagement at 54 years old! I feel so in love, lucky & blessed! Jim took me to the Balboa Bay Club to watch the Newport Beach Christmas Boat Parade from a bedroom suite (283) on the 2nd floor overlooking the harbor. Champagne, roses, candles, chocolate dipped strawberries, beautiful sunset & a silver moon! 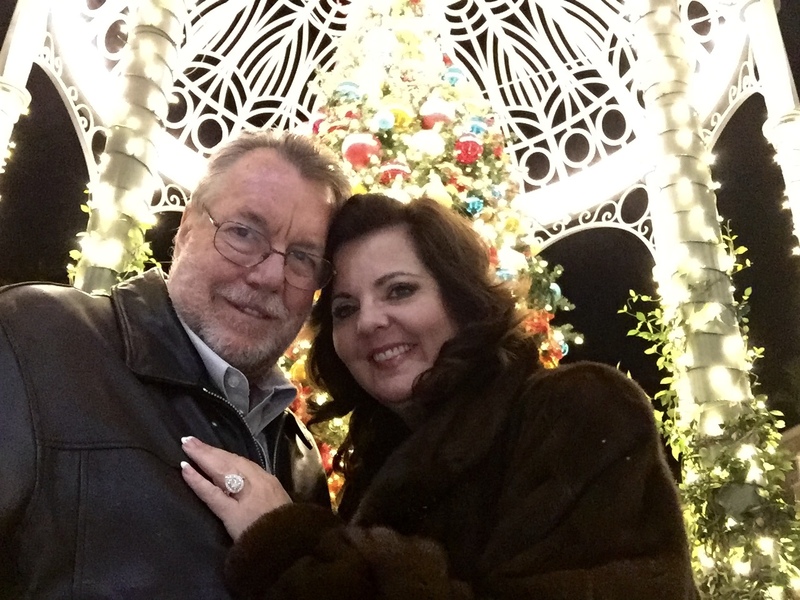 When Jim proposed we were watching fireworks light the sky over the Newport Beach harbor. As he got down on one knee, everything went into slow motion. Joyful tears started pouring out of my eyes & I tried to talk but could only nod my head up & down. It took quite some time before I could say anything which finally was YES! We then dined on the balcony of our private bedroom suite with Filet Mignon, wine & dessert while we watched beautifully decorated multi-million dollar yachts, boats, kayaks & canoes light up the harbor & sail by us decorated with dazzling lights, animation & music! Always fun to hear Jim tell me stories about his childhood and The Balboa Bay Club. He learned to sail, swim & dive here when he was a child as well as celebrate many milestone & historical events with his family. Room 283 was the room Jim stayed in several times when he was growning up. Jims Grandfather James Irvine II donated the land to the City of Newport Beach. The land was then sold to Balboa Bay Club. The Irvine family has been a member for many years. In the early years their member number was the letter I and the number 1. A tournament was playing at the club. When Jim and his mother sat down for lunch and the waiter asked what her member number was and she stated I1. The waiter congradulated her over and over because he thought she was stating that she won the tournament. I Won!